The big number on Saturday in Montreal was 50,229. That was the attendance at the Blue Jays-Mets exhibition game at Olympic Stadium. The big number for me, though, was 12. That's the number of players or coaches in the building who have been featured here. There were also three others who are to be featured here in the future. 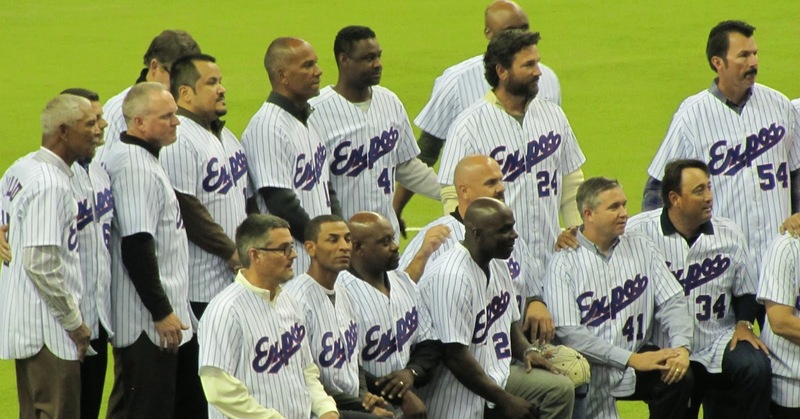 All of the former 1994 Expos took part in the pre-game ceremony to honor the team that was the best in baseball that year. The players were each called out on the field one by one, greeted by Youppi! The crowd greeted them as champions. There was Moises Alou, Sean Berry, Wil Cordero, Darrin Fletcher, Lou Frazier, Gil Heredia, Tim Scott, Tim Spehr, Joey Eischen, Denis Boucher and Felipe Alou. The cool thing about that list is it shows where that 1994 Expos team came from. My focus is the 1990 season, where players were that year. I then figured out what happened to their careers. Four years before they would help the best team in the game, all 11 were in the minors. Also, only two of the 11 were actually with the Expos system then, Cordero and Felipe Alou. Tied with the Expos was the Dodgers system, with both Scott and Fletcher at AAA Albuquerque. Anther cool thing with that list is that I had actually interviewed one of the players, Tim Scott. I caught up with him in July 2012 in California. 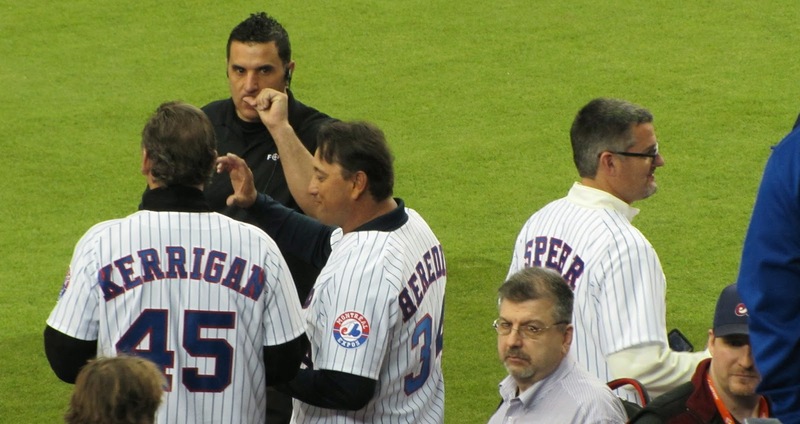 In addition to the former Expos players, there were also four managers or coaches, two each with the Blue Jays and the Mets. With the Blue Jays, there was manager John Gibbons and first base coach Tim Leiper. 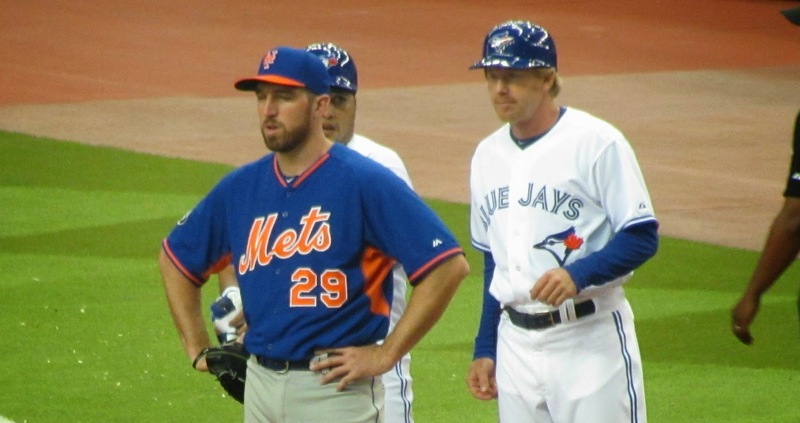 With the Mets, there was manager Terry Collins and pitching coach Dan Warthen. That all brings the total of players in the place to 15. I also got some cool pictures, if I ever get to interview any of them for the site. I also got to go to an ExposNation rally the day after the game at a hotel in downtown Montreal. I'll outline that in my next post. -Moises Alou: Played for the 1990 Harrisburg Senators.